Key difference: The most frequently used punctuations are the comma and the semicolon; both sound similar, but are used for different contexts. Comma is used for joining the components, whereas semicolon is used to separate the components. 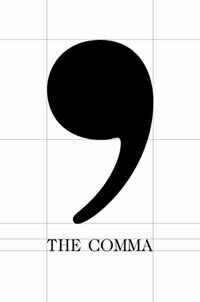 The word comma comes from the Greek komma, which means something cut off or a short clause. A comma is a punctuation mark which is used as a link provider between differently related terms. It is a punctuation which is used to show the connectivity between different objects. The objects which are separated with the help of comma are part of the same sentence. Commas are also used in linking two independent clauses. They are supposed to be used along with the conjunction such as and, but, for, or, nor, so, yet. It acts as a break provider while reading any sentences. It shows the connectivity between the two dependent forms. For example: I ate food, drank water, and went to sleep. Here the three activities are linked to each other with the help of a comma. The dependency of the activities on each-other is reflected. 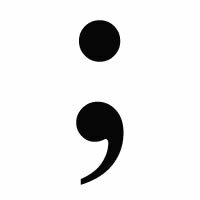 A word semicolon means a punctuation mark used to ‘separate two parts of a compound sentence’ when they are not connected by a conjunction. Semicolon acts as a separator between the two non-dependent or independent contents. Semicolons are used to show the difference regarding the same content or the subject. A semicolon adds varieties to the content. It is also sometimes used to join the content. They are also used to show the dependencies between two clauses with the help of a conjunction. They function as a separator as well as a connector. They show the connectivity between the verb, subject and the predicate. They are mostly written before the conditions. Semicolons are generally used to connect two sentences, which are some what related, but not directly related to each other. For example: "A banana tree isn't a tree at all; it's the world's largest herb." Here the quality of the banana herb is highlighted as being large and is also compared in general to a tree, so the connectivity is shown with the help of a semicolon. It appears as a single closing question mark. It appears with a dot at the top followed by the closing question mark downwards in a vertical straight line. A comma in grammar is used to represent various items of the same category. A semicolon in grammar is used to show the connectivity between two independent/dependent contents. Its role is to provide the addition of the contents. Its role is to provide the division between two connective contents. They are present after the variety of contents. They are present after the conditions.